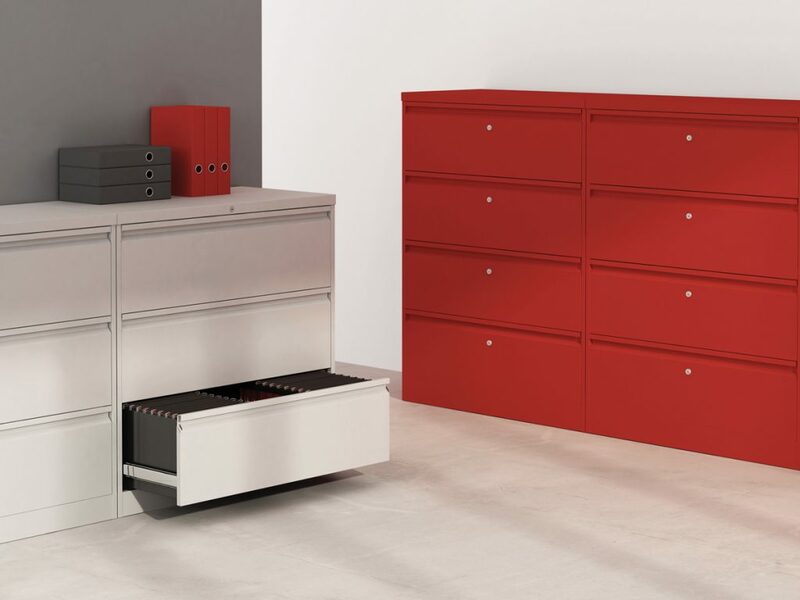 A comprehensive range of steel storage and pedestals. 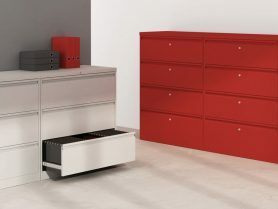 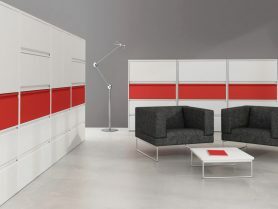 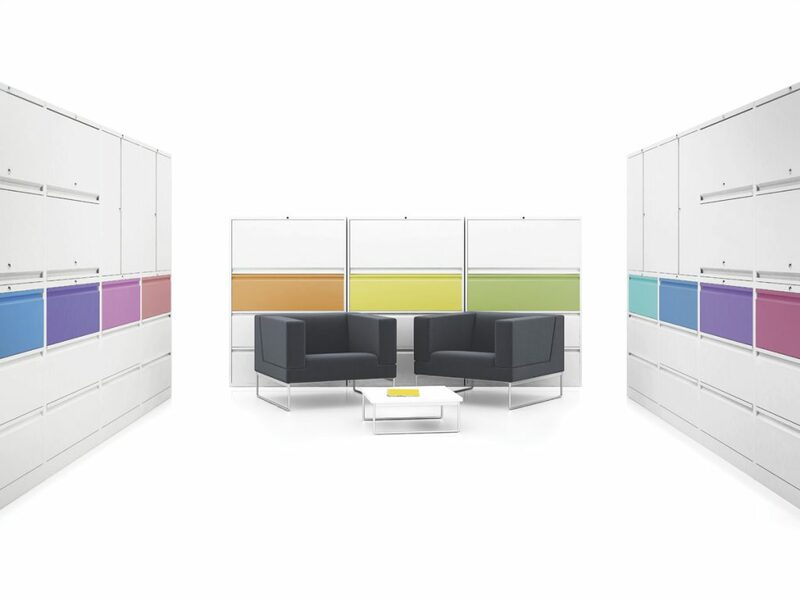 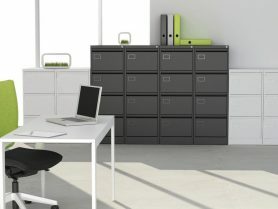 Double door units, tambours, filing units, lockers and combination solutions available in Black, White or Silver trim. 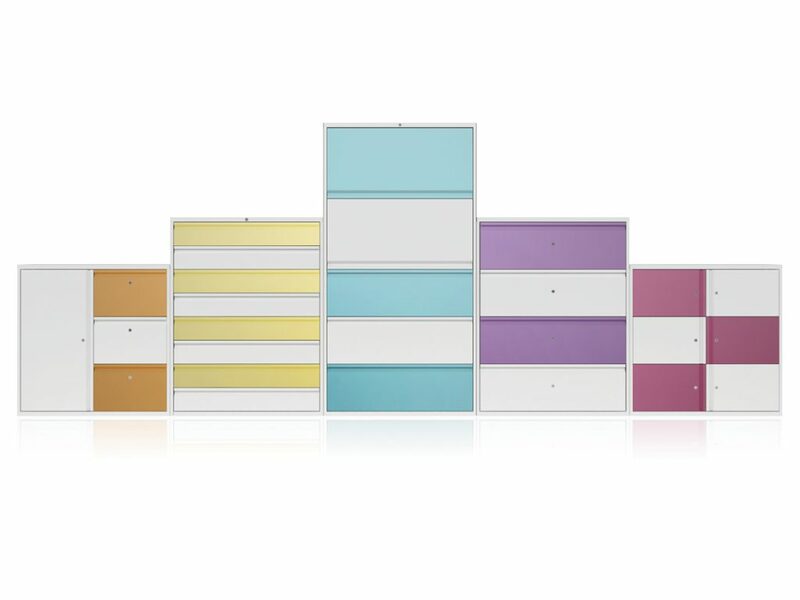 Alternative colour options and 2/3 tone options along with other units available on request. Add a 25mm MFC top in a choice of 17 board finishes to complement your colour scheme.